Wide Paris boulevards after the Haussmann renovation. I have heard various historical explanations for the spatial peculiarities of Paris. For example, Napoleon III charged Eugene Haussmann to demolish whole neighbourhoods for the sake of “fresh air.” This included widening boulevards to more easily counter violent revolutionaries and almost bankrupting the French empire. Historical explanations help understand who shaped Paris, and how. 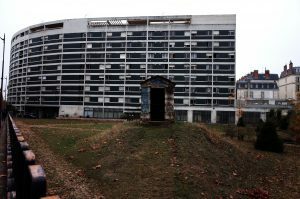 However, I presume that at least some spatial elements of Paris, including its remarkable density, are produced by forces without a particular author. Why does a merchant trade, a butcher open a shop, or an industrialist locate their factory within the city instead of outside? Historical forces are surely at play, but perhaps an economic explanation can reveal the deeper mechanisms of individuals that create and shape the city. Exploring these spatial dynamics reveal that an interplay between historical and economic forces shape Paris. My curiosity to explore urban density through an economic lens sprang while I was taking a course on urban economics while on exchange in Paris. I learned that economists use a combination of theory and empirics to model and predict how policy impacts urban productivity and living. Urban economists like Edward Glaeser explain the creation and inertia of cities through a mechanism called agglomeration economies. Apart from exogenous factors, like being close to a port, a natural resource, or trade connection, cities only exist because its firms are in a state of increasing returns to scale. For a firm to be in a state of increasing returns to scale means that for every additional input, a piece of machinery or a worker, firms increase their output more than the cost of the input. This puts the firm in the optimal position to grow rather than stagnate or shrink. Firms are in this state due to a variety of factors, but an easy way to picture a state of increasing returns to scale is to hearken back to Adam Smith’s division of labour. A factory of workers who each specialize in producing a specific aspect of a shoe create shoes at a faster rate than if they were each creating shoes from scratch to finish. Through the mechanism of agglomeration, arising from increasing returns to scale, firms and people gain benefits from locating close to one another: reducing costs, improving matches, specializing, and offering larger markets. But as benefits arising from agglomeration increase, workers and firms rush towards the centre of the city. Land becomes a scarce and expensive resource, and the price of land creates an opposing force to agglomeration: dispersion. This balance between agglomeration and dispersion forces are what determine a city’s shape. The status of Paris as France’s economic powerhouse leads to an important question in urban policy: should we strive to make our cities more dense? Density increases naturally in the centre of a city due to consumers and producers changing their behaviour according to the price of land. In the centre of the city, where the price of land is high, consumers prefer to spend less on land and buy smaller dwellings. Similarly, producers would rather spend more on construction material to make taller buildings and less on land when the price of land is very high. As they move away from the centre, consumers and producers prefer spending more on land, buying and creating shorter but larger buildings. 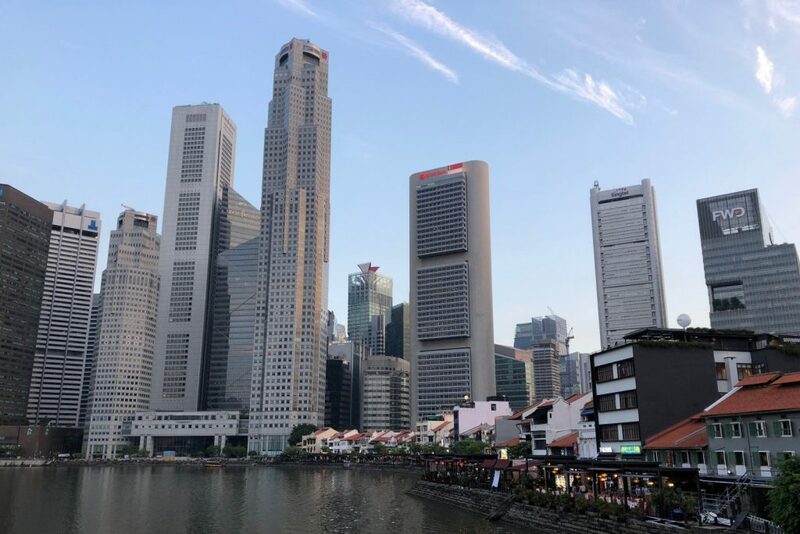 The behaviour of consumers and producers creates a regularity that is seen across many cities: tall buildings concentrated in the centre, descending and expanding as they reach the periphery. In relation to its density, Paris is a remarkably flat city. But Paris is unusually flat. It was built during a time without elevators and cars. To maintain the benefits of agglomeration, buildings had to be close and short. Since Paris protected the historical status of its buildings and set strict development regulation, new technology did not impact the urban form. 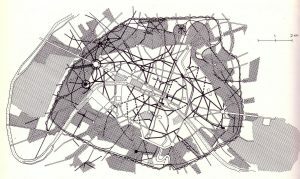 The shape of Paris is the result of two competing forces in spatial economics: agglomeration and dispersion. The stronger the agglomeration forces are, the higher the productivity gains exist for firms and people within a city. Presumably, one would desire the highest possible benefits. Unfortunately, it is hard to make a causal connection between density and agglomeration. It is an empirically difficult question because increasing returns to scale is dependent on so many factors: how many firms there are, the variety of industry, skill flexibility, how easily knowledge is diffused, etc. However, what we can assume with some certainty is that the benefits accrued from agglomeration are bell-shaped: at one point, firms and people locating too close to each other are detrimental to overall productivity. If increasing gains from agglomeration was the single priority of urban planners, then the negative effects of land price and congestion would outdo any positive gains. 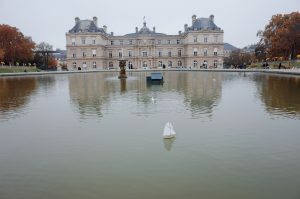 50 acres reserved for recreation in the middle of the city at Jardin du Luxembourg. Paris has an interesting remedy to this dilemma: sparsity, in the form of vast tracts of open space. This also has a historical dimension. The aristocracy demanded land, gardens, squares, statues, and art for its politics, religion and recreation. What were once useful tools for expanding influence and power now make Paris an extremely high-amenity city. 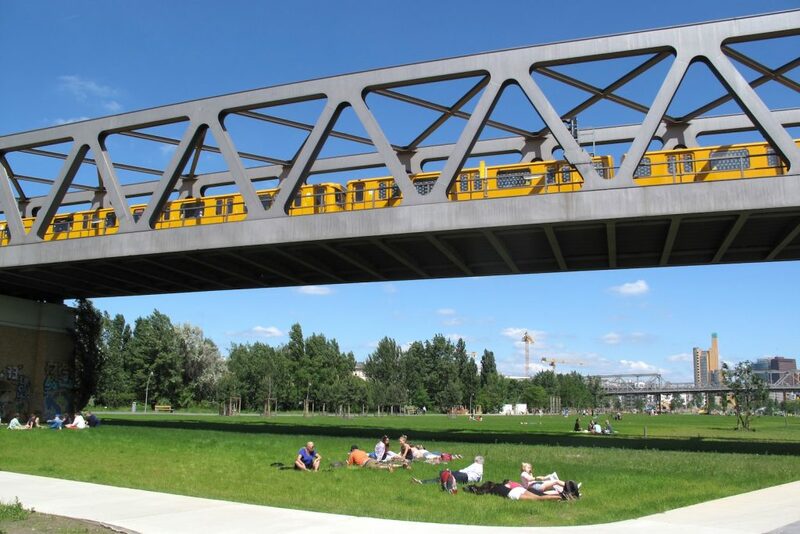 Although these parks and attractions create a favourable living environment and remedy some of the ills of congestive spaces, in economic terms, they also increase the price of land and housing immensely. Despite small and close dwellings, supply of housing lags behind demand. Due to building regulations, Paris can’t go up, so it goes out, expanding into the periphery. Because public transit is a more cost-effective mode of transportation than cars, most development mirrors the size and space of central Paris, but is located near transit stations. 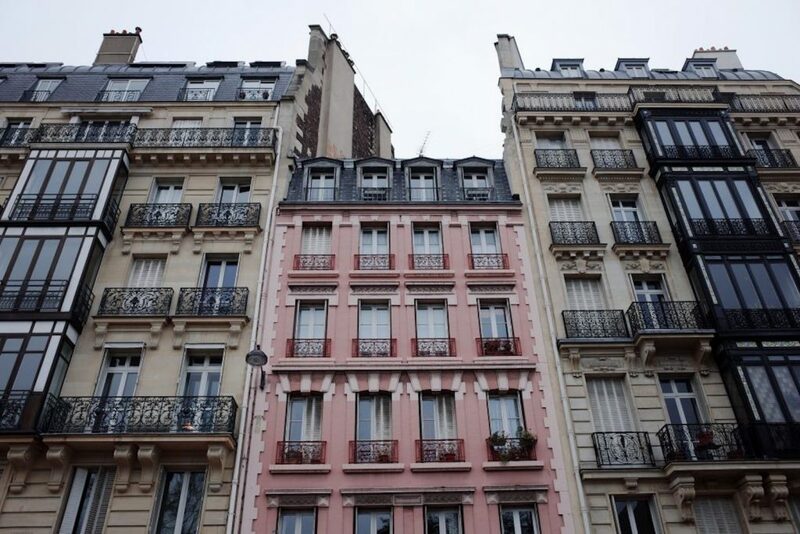 Therefore, the Paris periphery keeps the character of large apartment blocks, instead of American-style urban sprawl. Heritage and height regulations ensure that the essence of Paris and its important historical landmarks are protected, but this means that firms that require more space are forced to either pay exorbitant prices or locate slightly outside the geographic centre. Paris can be characterized as long, flat and dense, with sprinkles of high-amenity sparsity and a decentralized, deregulated business district. This spatial structure provides distinct advantages to both Parisians and the French economy. Density across a large geography means that public transportation is efficient without being too highly concentrated in one space. Compared to highway infrastructure, public transit can accommodate a greater number of people using less space. Having strong public transportation infrastructure means that Parisians have relatively easy access to many parts of the city. Another advantage is that historical landmarks make the city extremely attractive. This has negatively impacts on real wage, but it means that people are willing to pay high prices for easy access to these amenities. As long as access to agglomeration effects are available to both high and low skilled workers, then these amenities are beneficial to all residents. Residential space contorting around historical sites. 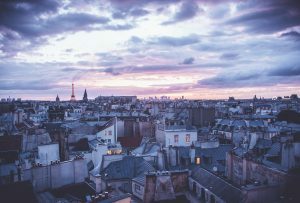 The deregulation of peripheries of Paris are beneficial to firms, especially corporate headquarters of French multinational companies, because they gain access to a plethora of agglomeration effects while simultaneously reducing land development costs. This gives job and skill-sharing opportunities to Parisian residents and builds the French economy. The deregulated construction and height regulations of La Defense. Built on the historical axis of Paris, the Grande Arche of La Defense is a demonstration of how firms pursue agglomeration effects and lower real estate costs. Here, building heights are deregulated and a major highway passes through the centre, allowing higher, larger, and newer buildings with greater access to major transitways. A combination of historical and economic forces have shaped Paris, a spatial economy which gives rise to many advantages that North American cities can also benefit from if they were to reflect the way Paris balances agglomeration and dispersion forces through density. Should cities become more dense? If we follow the Parisian example, then yes. 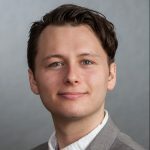 Michael Zusev is a second year MPP candidate at the Munk School of Global Affairs and Public Policy. His urban policy interests include urban economics and municipal finance, particularly wealth inequality and poverty reduction.